Don: There’s an old saying about how marriage is just like a phone call in the middle of the night. First comes the ring and then you wake up. A wedding is meant to be a celebration of love and commitment between two people made in front of their closest friends and relatives. Unfortunately for those two people, bringing together all of these supposedly supportive friends and relatives, and then throwing that beautiful love in their faces, also brings out all sorts of crazy that has been simmering beneath the surface for some time, just waiting for the perfect occasion to boil over. The bigger the wedding, the bigger the potential for disaster, and, depending on where you’re sitting, the greater the opportunity for hilarity. 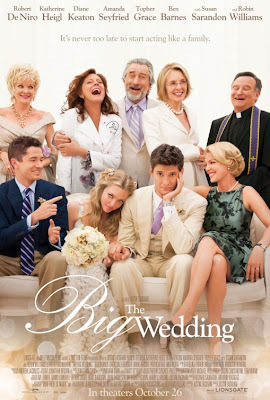 THE BIG WEDDING, an oversized, glossy ensemble remake of the French film, MON FRERE SE MARIE (My Brother Is Getting Married), attempts to recreate both of these possibilities cinematically. While it does have disaster aplenty to speak of, no matter where you sit, it is a serious stretch to find any moments of even mild amusement, let alone actual hilarity. From the moment THE BIG WEDDING opens on a peaceful, calm lake at dawn, you know that this serenity is about to be rattled beyond any recognition and all you can do is wait for it to come. When your cast is led by multiple Oscar winners, Robert De Niro, Diane Keaton, Susan Sarandon and Robin Williams, not to mention fresher faces like Amanda Seyfried, Topher Grace and Ben Barnes, you might expect that the inevitable hijinks could prove to be well worth your attendance but sadly, you would be sorely mistaken. Much like a wedding is supposed to be about the couple but is more about the appeasement of the guests, a comedy is supposed to be funny, but THE BIG WEDDING plays everything so broadly that none of its guests are likely to enjoy themselves. For future reference for all filmmakers, the following plot devices are not actually funny: People thinking they’re having one conversation when they’re really having another because neither party speaks the same language, maniacal / alcoholic priests that say things you would never expect a priest to say, rich country club racism that everyone just swallows, people pretending to be married when they’re not to avoid angering Jesus, and 30-year-old virgins. You’ve got to give that last point another ten years before it gets anywhere near funny. You know there’s a problem with a film when it has such an impressive cast and yet somehow Katherine Heigl manages to give the most emotionally engaging performance of the bunch. 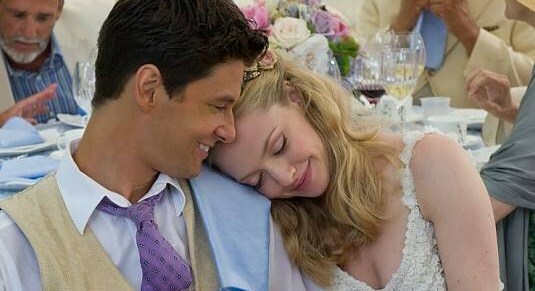 The problem is simple; THE BIG WEDDING is just a big paycheck movie for all involved. 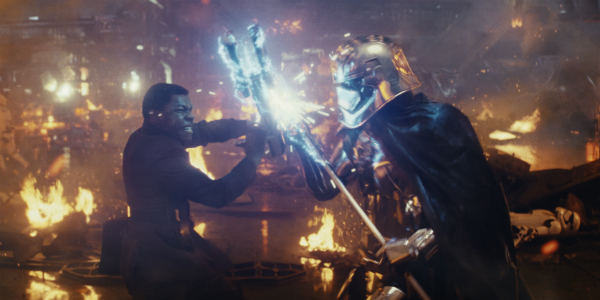 I can very easily forgive big action stars when they take on a franchise film just to pad their already overstuffed bank accounts, but when the talent is as reputed as this cast is, and the material is as lackluster as this is, respect is lost. You have enough money already; you shouldn’t need to subject fans of your work to this kind of perfectly catered torture. In the end, THE BIG WEDDING, was just like so many other large weddings I have been to before. I never really wanted to attend to begin with but felt like I had no other choice given the sheer size of it. And then, once there, I was constantly searching for an inconspicuous moment to sneak out and be done with the whole tedious affair. The good news for you all is that you’re not actually obliged to attend this event out of fear your family will shun you for staying home.